Idris Elba is in early talks to portray the villain in Paramount Pictures’ highly-anticipated sci-fi sequel Star Trek 3. No details were given for his character, but Star Trek and Star Trek Into Darkness cast members Chris Pine (Captain Kirk), Zachary Quinto (Spock), Simon Pegg (Scotty), Karl Urban (Bones), Zoe Saldana (Uhura) and Anton Yelchin (Chekov) are all set to return for the sequel. Production is scheduled to begin in June. While no details about the villain have been revealed, there are rumors that the Klingons could emerge as an evil force, since they have not been fully shown in the first two movies. That has yet to be confirmed. Paramount and Skydance Pictures would not comment on the casting, or the villain’s identity. 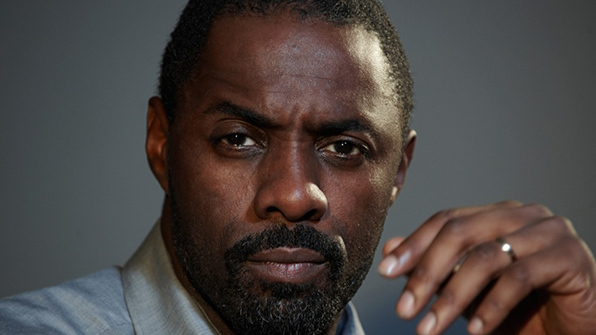 Even if Idris Elba’s character is a Klingon, we likely won’t know until the sequel hits theaters. You may recall that it was long assumed that Benedict Cumberbatch’s “John Harrison” was actually Khan in Star Trek Into Darkness, but no one would confirm that until the movie came out in May 2013. Star Trek 3 comes to theaters in 2016 and stars Chris Pine, Zachary Quinto, Simon Pegg, Karl Urban, Zoe Saldana, Anton Yelchin, Idris Elba. The film is directed by Justin Lin.